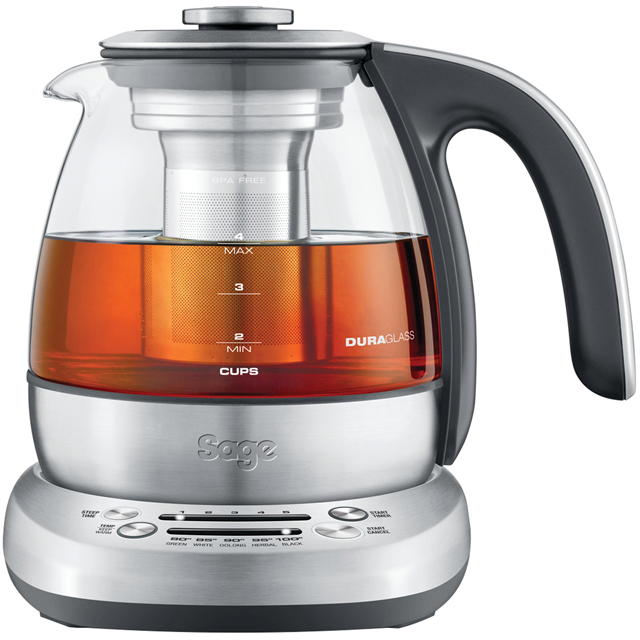 Tea connoisseurs rejoice, as thanks to this tea maker from Sage, the perfect cup of teaan finally be yours. It boasts a generous 1 litre capacity and 1200-1428 Watt output, meaning you can make up to 4 delicious drinks at a time – ideal for entertaining. You also have the option to choose between 5 different temperature settings to truly complement your preferred blend, whether it’s green, black, or oolong. This model is made from thermal, shock-resistant glass which makes it really durable, and all the components are dishwasher safe for easy cleaning. This is sure to be a welcome investment to a household that’s truly passionate about tea.